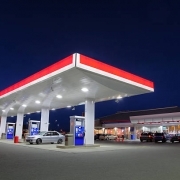 What Is a Net Lease Advisor? 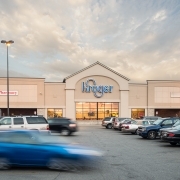 Triple net lease real estate can a very stable, long-term source of reliable income with many advantages for both property owners and tenants. However, it can also often be an overwhelming task to find the perfect triple net property and determine the best opportunity among a sea of choices. 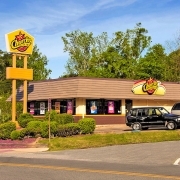 Additionally, net lease properties can come with a tenant already in place, which means there will be contract details that you need to understand fully so you know exactly what financial responsibilities you’re signing up for by purchasing the property and entering the existing net lease agreement with the tenant. Due to all the intricacies of net lease real estate, most investors choose to work with a net lease advisor. 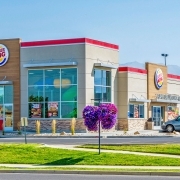 But, what is a net lease advisor, and what services will benefit you most? This post will explain what a net lease advisor is (and what services are typically offered) and outline the key things you should look for when choosing a net lease advisor. A net lease advisor is an individual who has extensive experience in triple net lease properties, and a proven track record of successfully guiding investors in the industry. Net lease advisors can help you find and qualify triple net listings that align with your investment strategy and also assist you with financing and net lease negotiations on the property you choose for your portfolio. Working with a reputable net lease advisor is a great way to ensure that you get access to the best properties available and understand all of the net lease details before you enter a deal. Net lease advisors help make sure that you get the best investment possible, with the low-risk, high-reward scenario you’re looking for in your triple net property. Property Evaluations: A net lease advisor will have keen insight into property evaluations, and can help you understand how much profit potential exists in a property over the long term. Knowing what a property is worth will also help you get the best price on your investment property. Portfolio Analysis: Net lease advisors can go through your portfolio with you, and offer insight into which of the NNN properties for sale will round out your investments best. Strategic Advice and Recommendations: Based on an analysis of your portfolio and investment goals, a net lease advisor can give you strategic advice and make recommendations on what types of net lease properties are the best long-term investments, based on trends and net lease market values. Industry experience: One of the key advantages of working with a net lease advisor is that you’ll be able to leverage their experience in the industry, including market insight, property values, and long-term profitability. 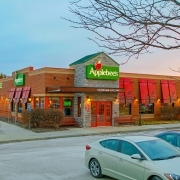 Proven track record in triple net properties and deals closed: The net lease advisor you choose should have a demonstrated record of success. A reputable advisor will be able to share details on their success record and deals closed, as well as share case studies of investors they’re helped in the past. Client-focused approach: A good net lease advisor will be very client-focused and treat you with utmost respect as they examine your portfolio and listen to your goals. This type of approach will ensure you invest only in triple net properties that will benefit you strategically and financially in the long-term. 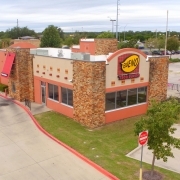 Sands Investment Group is the fastest growing net lease investment company in America, with over 1500 transactions in 48 states (to the tune of $3.5 Billion) since 2010. Our company is comprised of distinguished experts in the space who fully understand the advantages of net lease properties and can offer you strategic advice on which triple net property makes the best sense for your goals and portfolio. Our client-focused approach, extensive connections, and marketing expertise are just a few of the ways we’re leading the net lease industry. Want to learn more? Contact an expert net lease advisor today by calling 844.4.SIG.NNN or sending us an email at info@SIGnnn.com. 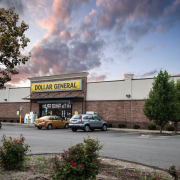 What Does the Landlord Pay in a Triple Net Lease? 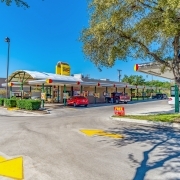 Why Do a Triple Net Lease?